Friends of Aloka Vihara is a community of lay practitioners founded by Mindy Zlotnick and Emily Carpenter in 2015 to help support the development of Aloka Vihara Forest Monastery. They are an independent fundraising body focused on education, outreach and supporting fundraising events for Aloka Vihara. Please contact them if you wish to get involved! 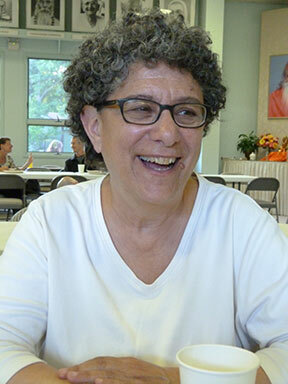 In 2009, Mindy heard that the Siladhara from Amaravati Monastery had been invited to come to San Francisco to establish a Buddhist monastic residence for women and something in her heart said this was what she wanted to be involved in. This movement of heart has evolved into a long-time relationship with Aloka Vihara, serving and practicing at the vihara as it grew in San Francisco. When the sisters decided in 2011 to take full ordination, Mindy volunteered to organize the ceremony at Spirit Rock. Soon after the ordination she left on a trip that took her away from San Francisco for the next five years. She watched from afar as Aloka Vihara San Francisco morphed into Aloka Vihara Forest Monastery, Placerville with much awe and amazement. In 2016, she returned to serve at the new Monastery for the winter retreat. Emily first met the Aloka Vihara nuns in 2012, while working in the communications and development office at the Insight Meditation Society in Massachusetts. 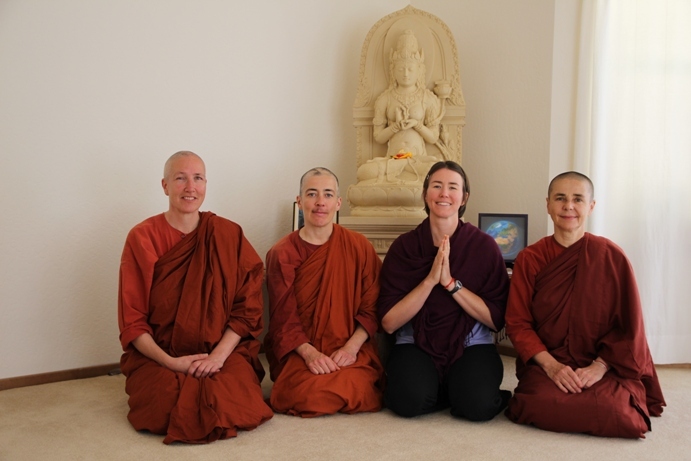 She was deeply inspired by the nuns’ presence and their vision to create a bhikkhuni training monastery, and also very concerned about the lack of equal opportunities for women to live the monastic life in Theravada Buddhism. She came the following year to spend a summer as lay steward at Aloka Vihara, San Francisco and has been spending month-long periods at Aloka Vihara each year since the nuns moved to Placerville.